With over eight million copies of his books in print and thirty titles on the New York Times bestseller list, David Weber is a science fiction powerhouse. In the vastly popular Honor Harrington series, the spirit of C.S. Forester’s Horatio Hornblower and Patrick O’Brian’s Master and Commander lives on—into the galactic future. 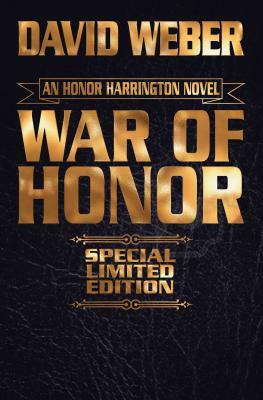 Books in the Honor Harrington and Honorverse series have appeared on twenty-one bestseller lists, including The Wall Street Journal, the New York Times, and USA Today. Additional Honorverse collaborations include a spin-off mini-series Manticore Ascendant with New York Times best-selling author, Timothy Zahn; and with Eric Flint in the Crown of Slaves, and Cauldron of Ghosts contributing to his illustrious list of New York Times and International Best Seller Lists.